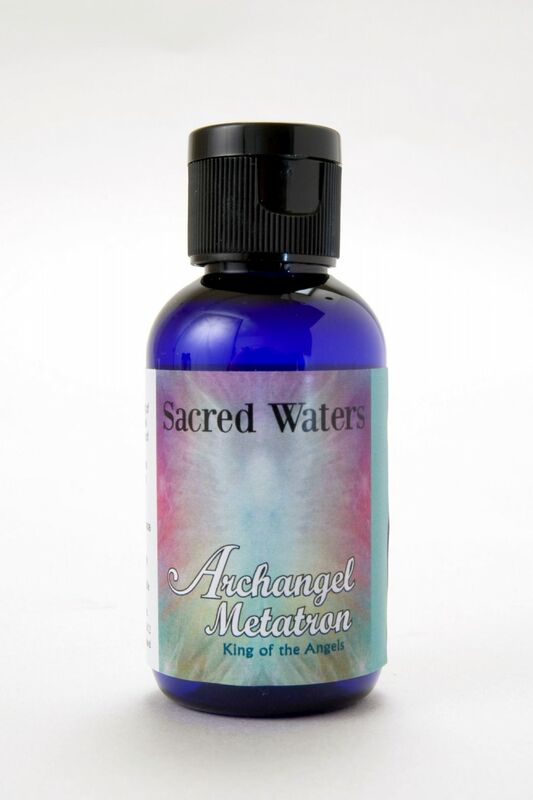 Embrace the enchanting energy of the Sacred Waters of Archangel Metatron, inspiring calmness, serenity and healing of the soul. Embrace the enchanting energy of the Sacred Waters of Archangel Metatron, inspiring calmness, serenity and healing of the soul. It aligns our lightbody with the energies of Archangel Metatron and those of cosmic creation, linking us to the Tree of Life and all five Platonic Solids. Lovely to use in meditation and healing work, and accelerates our spiritual growth by lifting us above any discordant energy which is not for our highest good. A magical formula containing the aroma of Cedarwood, Norway Pine, White Pine. Floral Water, Holy Water. Gem Essence of Herkimer Diamond, Seraphanite, Sathya Mani Quartz.